And for today's inspiration ... this card is one we made yesterday at the Stamp-A-Stack. I hope you like it as much as they did! 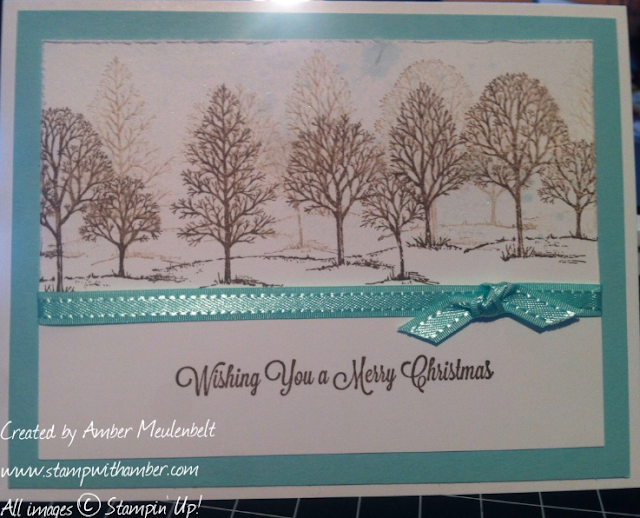 I used the 2nd and 3rd generation stamps of Lovely As A Tree to give some depth and dimension... as well as the both the Distress Tool around the top 'half', and the Spritzer for some extra interest. I had put about 4 drops of the Illuminate refill and just one drop of Island Indigo. And I just love the sentiment that came with this past month's Paper Pumpkin!